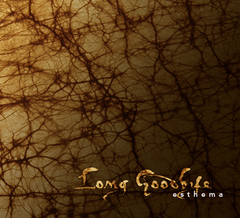 On June 3, 2014 Esthema released their third CD, Long Goodbye–beautiful, layered, semi-dark with unusual instrumentation and Middle Eastern elements. I don’t listen to a ton of jazz or progressive instrumental music [I do love Bee vs. Moth.] but when I do it must grab me in some manner. With Long Goodbye, I become engulfed in its sad prettiness. Esthema are: Andy Milas [guitar]; Onur Dilisen [violin]; Mac Ritchey [oud and bouzouki]; Naseem Alatrash [cello]; Tom Martin [bass] and George Lernis [drums and percussion]. With the goal to compose songs on his own, Andy Milas formed the band in 2006. He’s first-generation Greek, born in Boston. He loves Greek music and wanted to incorporate that into other styles of music. He said he wanted to include elements of jazz, rock and classical. Onur, a native of Turkey, has been with Andy from the start. His mom was a music teacher. Onur is a classically trained violinist and graduate of Boston Conservatory. He started learning Turkish music. WMBR has played songs from the latest release on a program called “New Edge.” The band hopes to put together a video soon to attract more varied attention. The band dislikes Spotify. If you’re into the 90s site MySpace, they’re there. First band in the past seven years I’ve seen on MySpace. I wonder how much money they make when you listen to a song on MySpace. Esthema is a Greek name that means feeling/emotion. I sat down with Andy and Onur recently at Diesel Café in Somerville. Amy Steele: What do you think attracts people to instrumental music? Andy: People have to interpret the music. Lyrics sometimes make it obvious. [There’s an] attraction to instrumental music. This sets a mood that music with lyrics doesn’t. I played them a few songs from Bee vs. Moth and they weren’t impressed. I think Bee vs. Moth is superb in soundtracks, memorable music, emotive instrumental music. Bee vs. Moth possess an enviable swagger. Maybe the use of horns, which they noted, makes it less serious compared to their compositions. Bee vs. Moth are successful in what they do and tour across the United States. I’m just a music critic. I am not classically trained nor can I play any instruments. Amy Steele: What are the challenges in establishing a fan base in Boston area? Andy: Boston is not inviting to instrumental music, world fusion, acoustic in this area and we need to keep up with the bar crowd. Amy Steele: What makes Esthema stand out? Onur: Sincerity. We play honestly and with pure intentions. Gentlemen and with a good heart. Andy: Everyone comes from different backgrounds but we always connect with music. Esthema is a microcosm of the world. Amy Steele: What’s the live show like? Andy: There are improvisational moments—we’re always working with arrangements and will take liberties live. It’s an organic experience. Andy: We have compositions not songs. It’s about satisfaction for the player and the audience. Whenever we think we like it a lot when we play it live it works. Onur: We have a good idea of what we do and what we like. Amy Steele: What are your goals for Esthema? Andy: We need to find an audience where enough people take us seriously. Onur: This music deserves it. There are very cinematic elements. Andy: We take ourselves seriously so it’s hard to be considered fun. 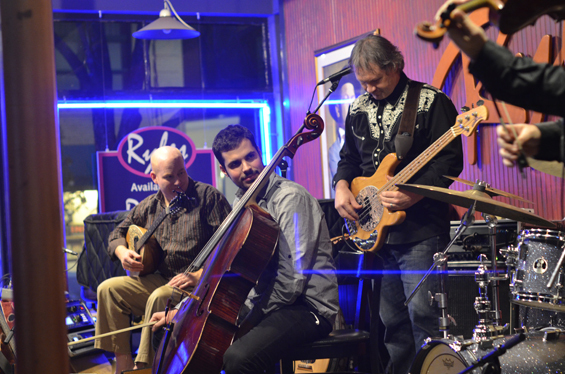 Esthema will perform January 29, 2015 at Ryles in Inman Square Cambridge. 8:00pm and 18+. Tickets are $10.00. This entry was posted on January 25, 2015, 15:15 and is filed under Interview, Music. You can follow any responses to this entry through RSS 2.0. Both comments and pings are currently closed.